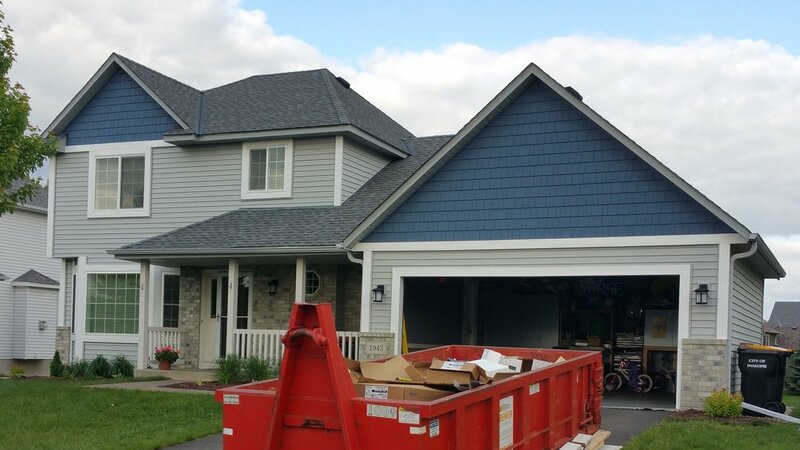 We completed a Plygem Mastic Carvedwood 44 and Cedar Discovery vinyl siding and shake installation project for a home in Shakopee, MN. The homeowner is thrilled with their new Newport Bay shake and Victorian Grey siding, giving this house a updated, modern feel. The homeowner had a leak in the front window from deteriorated flashing. The new siding will protect against leaks and the crazy Minnesota weather.